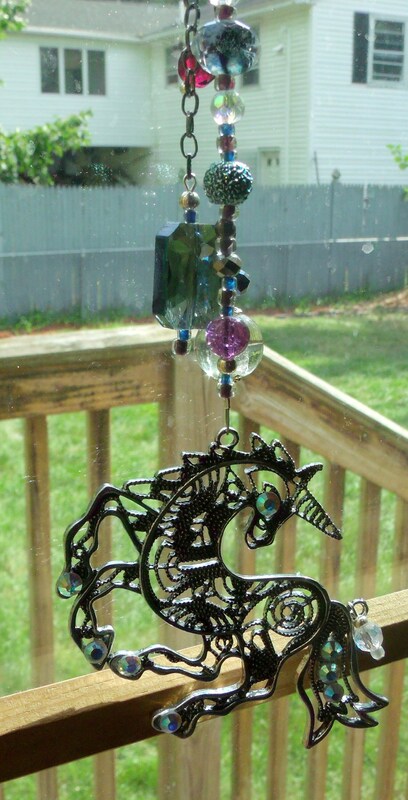 will complete your room decor ,the patio , sun room and makes a beautiful housewarming gift. 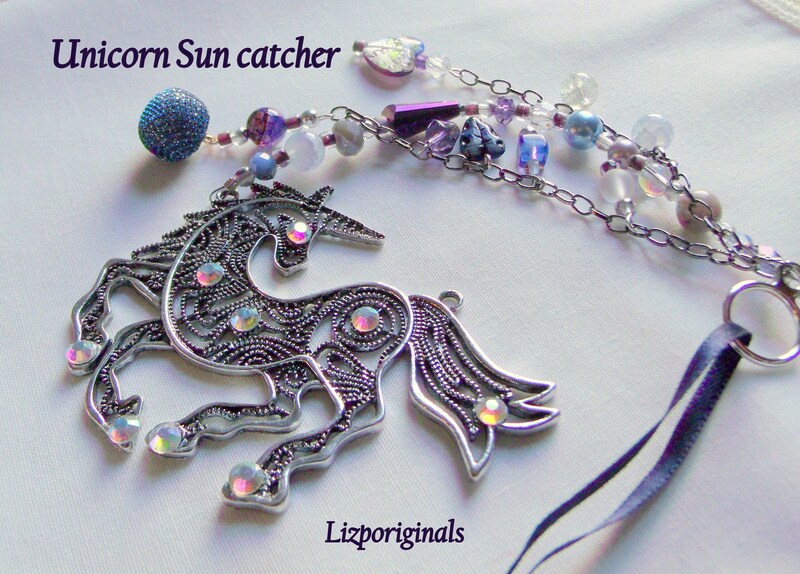 Total length of sun catcher is 12 inch with loop to hang. 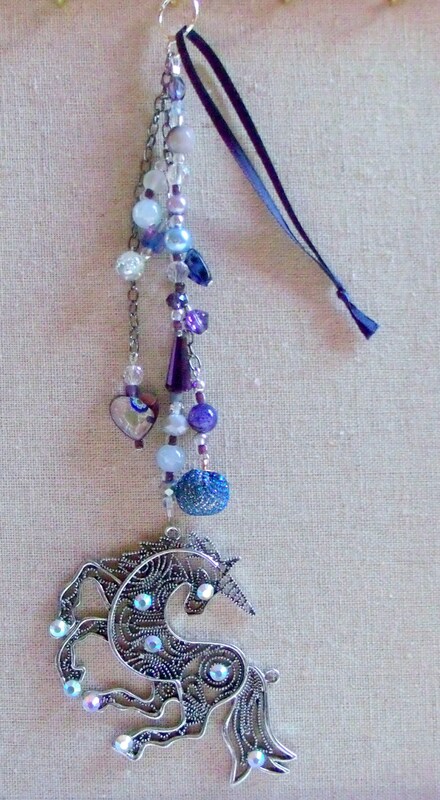 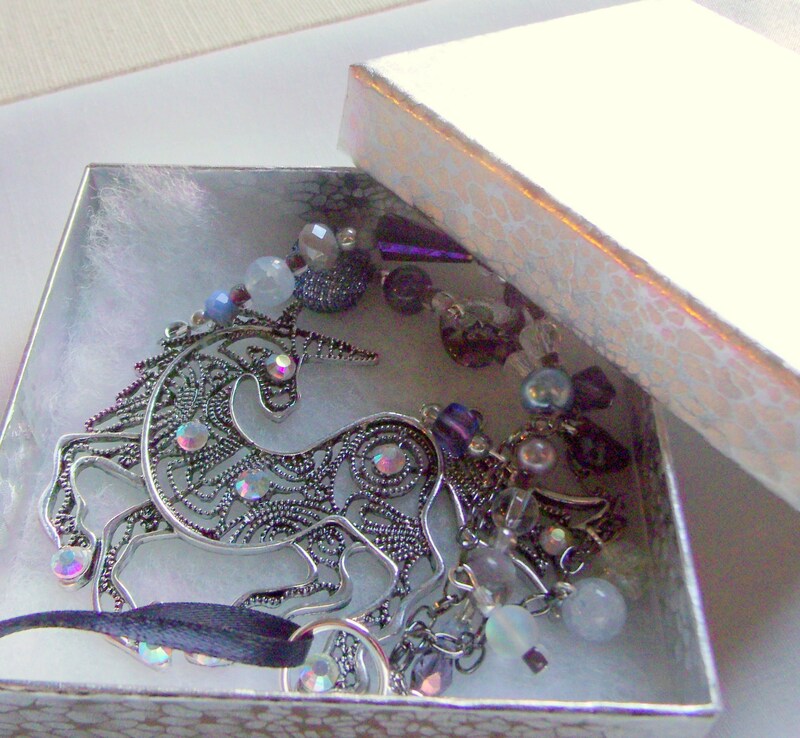 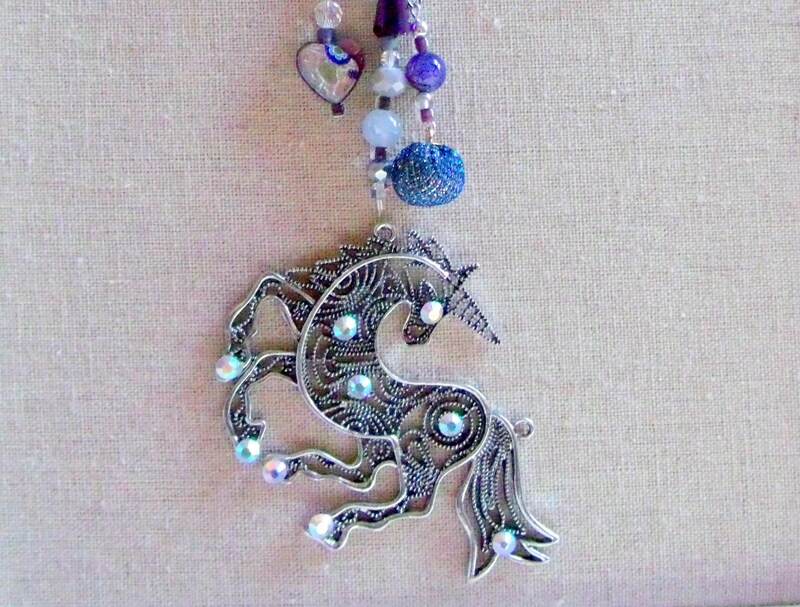 with a variety of crystals in blue and purple hues.